“The Walking Dead” took on a noticeably lighter tone this week after the bloody Season 7 premiere that left two major characters dead. In this week’s episode, we learn the fate of Carol (Melissa McBride) and Morgan (Lennie James). Carol was wounded in a fight with The Saviors and is recovering under Morgan’s watch in a walled community known as The Kingdom, built up around an old high school. 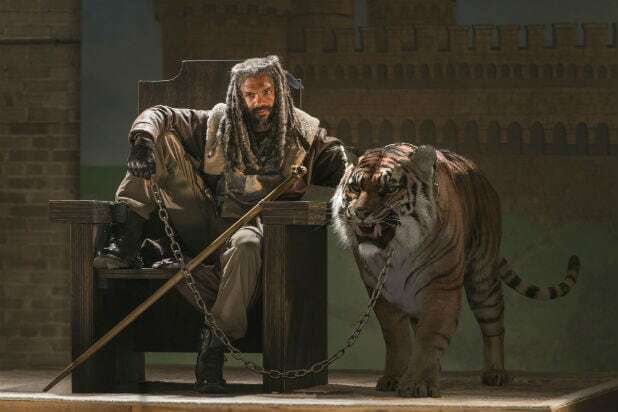 The Kingdom is ruled by King Ezekiel (Khary Payton), an enigmatic leader who keeps a pet tiger named Shiva and is fond of speaking with an almost lyrical quality, like royalty of old. Ezekiel’s right hand man, Jerry (Cooper Andrews), has a couple of truly laugh-worthy moments, as well, like when he shouts out “Deuces!” during a particularly serious scene. Morgan decides to assist with tasks around The Kingdom as payment for Ezekiel’s kindness. In the process of helping, he learns that the community is being forced to pay tribute to The Saviors. Ben (Logan Miller), the son of a friend of Ezekiel’s who was killed by walkers, explains to Morgan that Ezekiel keeps the arrangement with The Saviors a secret, as he knows his people would want to fight and he would rather not risk their lives. Meanwhile, Carol has resumed her innocent act within The Kingdom, while still plotting to strike out on her own on the road. But Ezekiel is able to see through it. He explains his past life as a zookeeper — which is how he found Shiva — and that he acts like a king because people need someone to follow. He further expounds that after seeing him with his tiger, they assumed he was some kind of epic hero. Carol ultimately leaves The Kingdom, but settles in an abandoned house nearby, where Ezekiel stops by with Shiva with some fresh fruit as a housewarming gift. “The Walking Dead” airs Sundays at 9 p.m./8c on AMC. 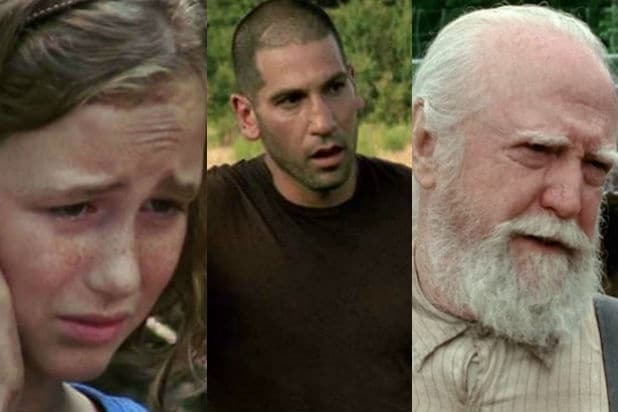 “The Walking Dead” was mostly sunshine and rainbows this week after the brutal season premiere, but if you want to remind yourself how it usually goes on “TWD,” check out the gallery of horrible deaths below.